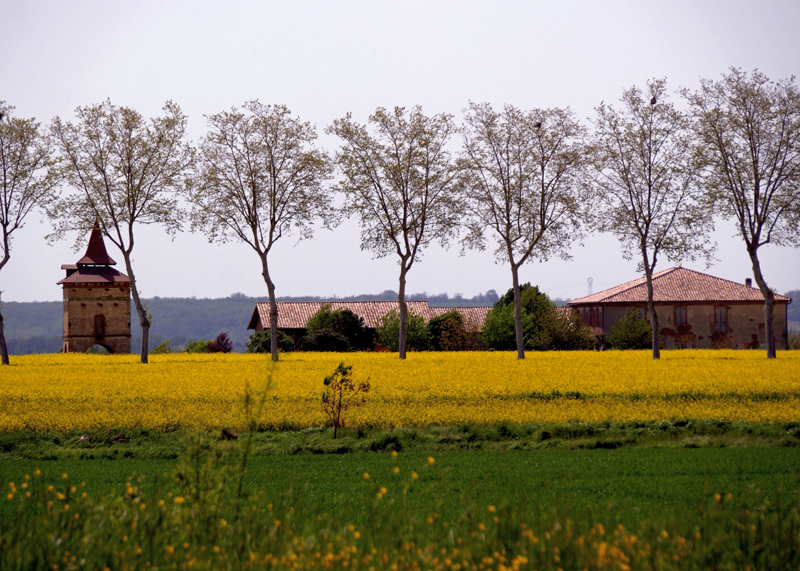 Guests are met in Toulouse** and transferred by private chauffeured minibus to Rosa. 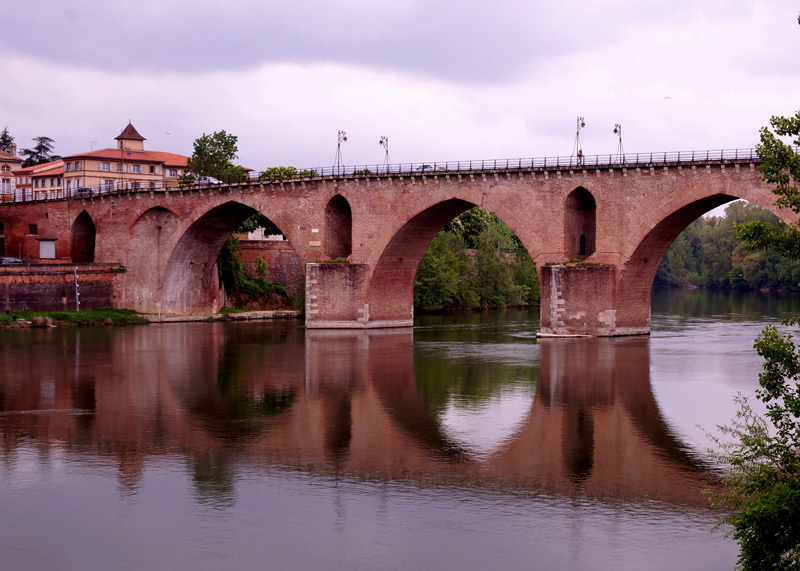 Following a champagne welcome, there is time for a tour of the beautiful old town of Montauban, set on the River Tarn, before returning for your first dinner on board. 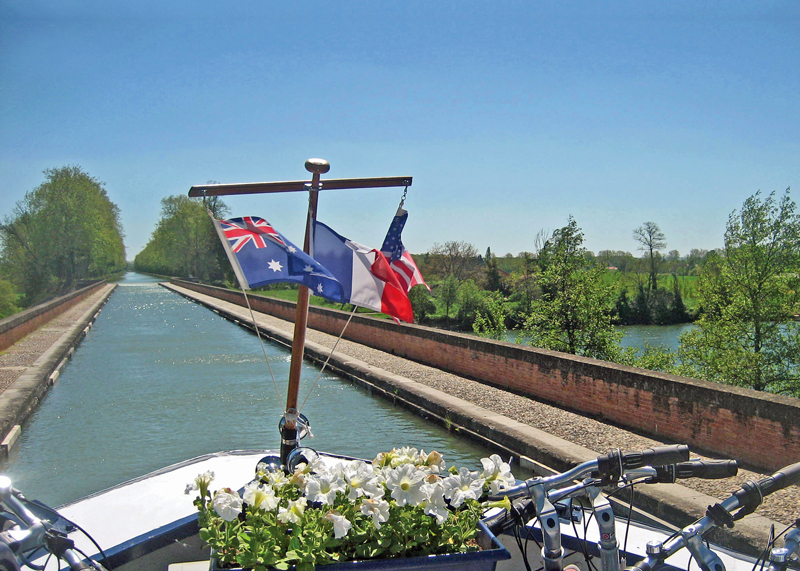 This morning Rosa meanders up the flight of nine locks on the beautiful, recently restored branch canal skirting the Forest of Agre and moors in the heart of the little town of Montech. 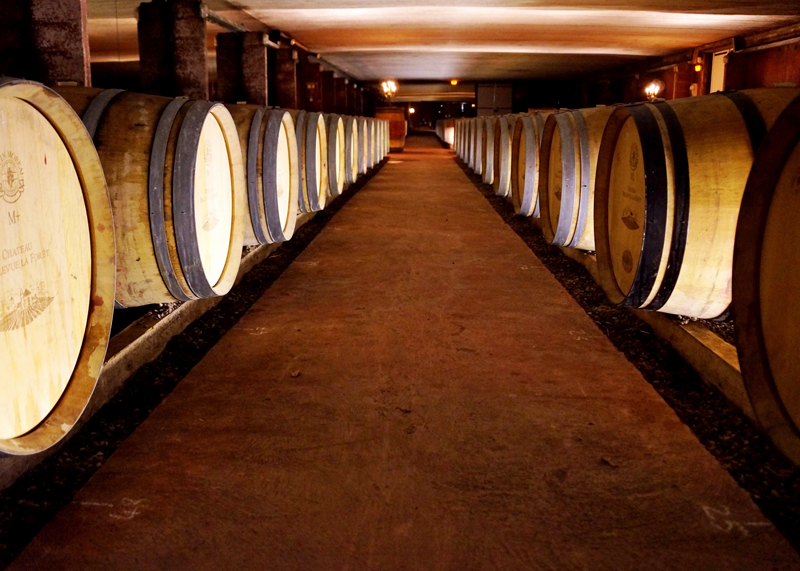 In the afternoon we head into the Côtes du Frontonnais wine region in the minibus for a wine tasting at the renowned Château Bellevue la Fôret. Our introduction to the outstanding cuvée ‘Optimum’ is in the skilled hands of Diane Germain, the Boston-educated daughter of the house. Dinner on board. After breakfast, there is a guided tour of the remarkable inclined Water Plane, an amazing feat of engineering that by-passes five locks and, when back in service in the near future, will lower vessels 43 feet all in one go. 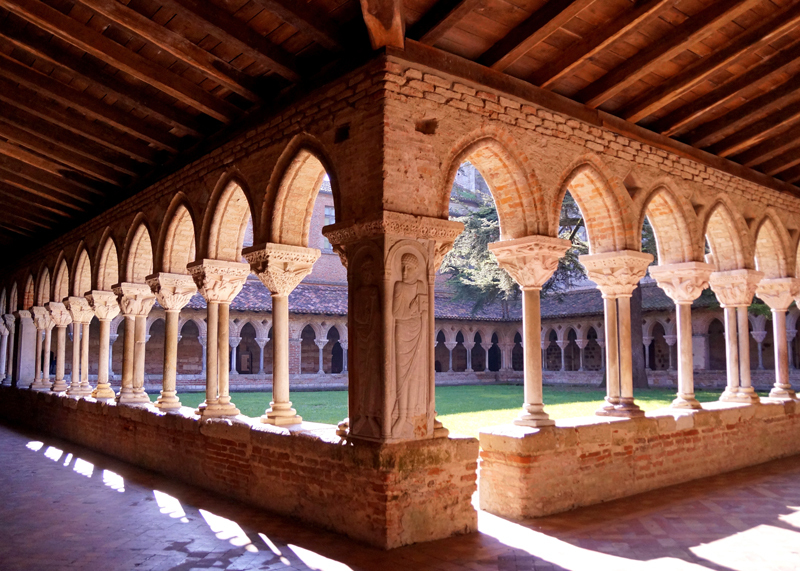 Then, following a relaxing morning cruise to Castelsarrasin, we take a short drive to the Abbaye de Belleperche, where we see the fascinating “Les Arts de la Table” exhibition spanning from the Middle Ages right through to the 20th century Art Nouveau period. Dinner on board. 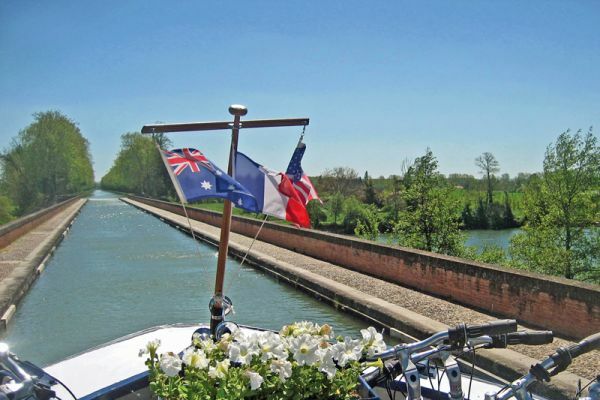 This morning we cross the River Tarn via the 1,000 foot long aqueduct, the Pont Canal du Cacor, then descend towards Moissac through a staircase of delightful locks and moor for lunch on the River Tarn below the old watermill. 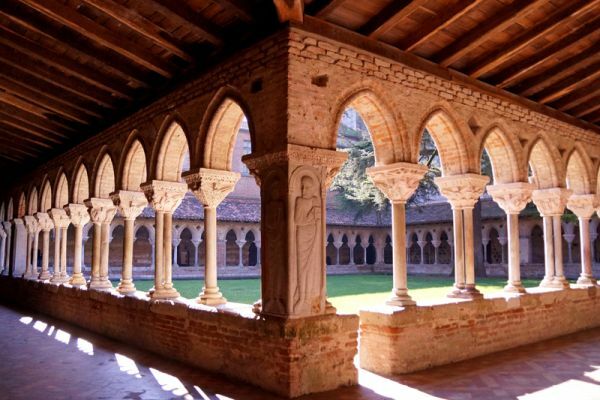 Then we cruise downstream to St. Livrade for an optional afternoon’s swimming or canoeing, and visit the UNESCO-classified 7th century Abbaye St-Pierre de Moissac with its wonderfully preserved cloisters and chapel. This evening, perhaps after a game of boules, we stroll ashore to savour regional specialties at the excellent restaurant ‘Le Florentin’, in front of the spectacular entrance portal of the abbey. 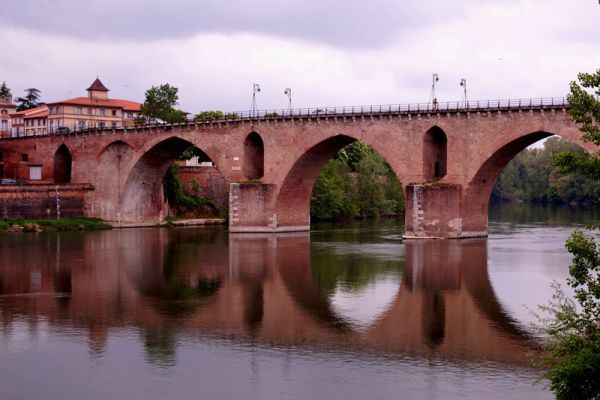 We visit Castelsarrasin’s morning market this morning before starting our cruise, when Rosa rises up from the Tarn and turns west on the brick-lined canal through Moissac. 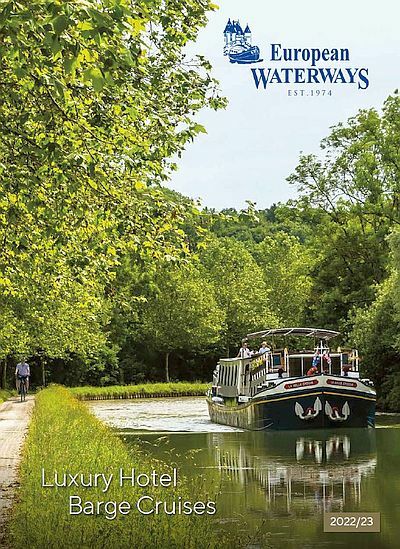 After negotiating the swing bridge, we cruise between the placidly-flowing waters of the Garonne and the foothills of the Quercy massif, before mooring at Pommevic. After lunch, we visit the 11th century Château de Goudourville before a drive to Auvillar, a 15th century village perched high on the side of a gorge above the River Garonne. Before returning to Rosa we visit Valence d’Agen and a tour of this old “Bastide” town with its Palladian canalside public wash-house and arcaded market place. Dinner on board. 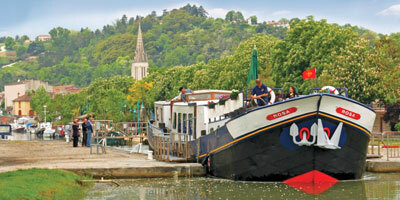 A leisurely morning cruise through the bucolic countryside to our final mooring at Boé. 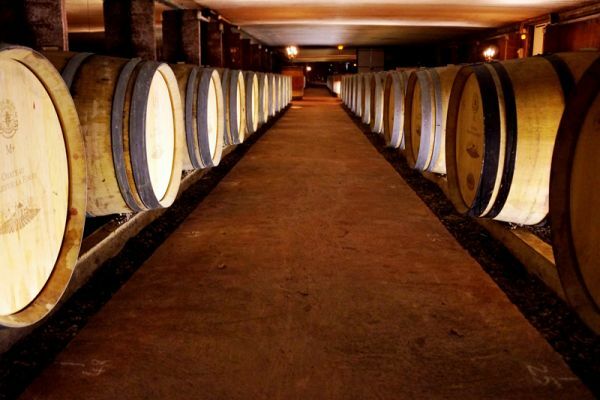 After lunch, we visit Domaine de Lapeyrade for a guided tour and private tastings of their esteemed Armagnac and Floc du Gascogne wines in delightful surroundings, before visiting the medieval town of Nérac and its castle, once home to Henry IV of France. Captain’s Farewell Dinner on board. 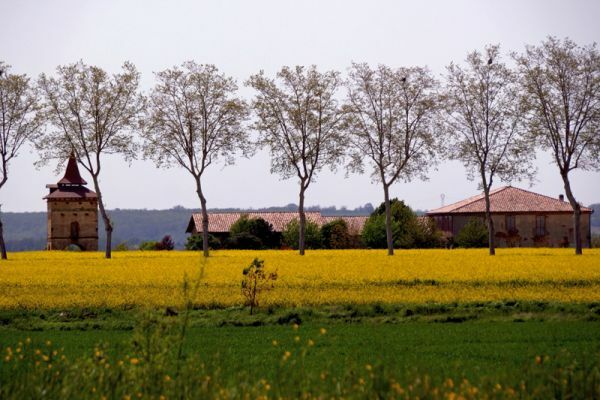 After breakfast, guests are transferred by private chauffeured minibus to their choice of location in Toulouse**.